A group of researchers working on the quantum nano photonics has come up with a method which would result in the development of new age quantum optical circuit. Our world of technology is going through a breakneck pace of advancement which is happening almost every given second across the varied fields. One such field is filled with quantum computers and networks which are designed to work in a way better than our conventional computers and networks. Our traditional computing devices and networks works by encoding information in binary bits while the quantum computing makes use of quantum bits which can contain two vales at the same time. Quam Computers thus have the ability to process a larger amount of information with lesser number of calculation steps. This functionality makes them a huge potential for the creating energy efficient computation along with sensing and securing the communication in near future. In order to develop quantum computers researchers will have to get a working circuit to power it. So far researchers have failed to create an effective integrated quantum circuits but it has been finally done by the KTH researchers. This team made use of the novel nano-manipulation technique in order to transfer the selected single photon emitters right into the nanowire present on a silicon chip. This process was utilized to carefully build a highly integrated optical circuit which has the ability to filter single photons as well as multiplex them. This quantum optical circuit makes use of multiple quantum dots in order to generate light in varied colours thereby encoding different information on the same chip. 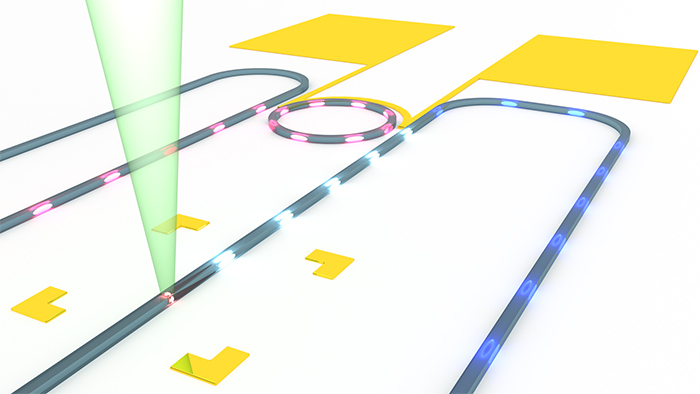 Developing a fully functional quantum optical circuit it was a challenge to build all of its components deterministically. In other words each and every component of this unique circuit is simply designed and optimized a single specific task. Researchers had to work in a tiresome fashion with no room of error at all in order to get right set of characteristics embedded in its exact location on the circuit. This team of researchers has been able to get achievement associated with their name for years to come. Their work has also resulted in the creation of a hybrid approach which helps in combining two very different semiconductor technologies. Essentially they had combined III-IV technology using their nanowire-based emitters with the silicon technology to create an integrated quantum optical circuit. As stated earlier no one has been able match this feat before using a hybrid integration utilizing just the nanowires. This intricate process had made them successful at generating and adding filtered single photons right on the silicon chipset without making use of any external components. Their great invention and complete breakdown of the methods and results will be published shortly in a popular scientific journal named Nature Communications. This also paves the way for the scientists to develop effective quantum circuits in future for specific purposes.